Read The History of BFoD: An Annotated Timeline of the Beyond Fear of Differences (BFoD) Initiative. The BFoD Planning Group created this document in preparation for the Sangha Forum that happened at Zen Mountain Monastery on Sunday, March 3rd. Want to learn more about how you can get involved? Email us at bfod@mro.org to find out about all of the programs, retreats, affinity groups and committee work that you can be a part of. As this larger BFoD Group continues to work together, BFoD’s Vision and Mission may change and evolve. Check this page periodically for updates. Equity—To create just outcomes, we recognize that different treatment—including reparations—is sometimes required because of historical oppression and our varying positions in contemporary society. Courage—The ability to step forward, be vulnerable, tolerate discomfort, and hold space for new ideas. Accountability—The Sangha—teachers, seniors, monastics, Board, students, Councils, practitioners—are mutually responsible for upholding these values and communicating with each other. Humility—Recognition of the depth of our own conditioning and the vastness of the path. Reverence—A deep respect for each other’s humanity and identities, and the transformative power of the Buddhadharma. Generosity—The willingness to embrace all our experiences of sangha with openness and appreciation; also the willingness to give and take in feedback on the impact of our actions as part of our dharma training. Whole Person Framework—In our study and liberation of the self, we recognize that because our social identities are not experienced in isolation, they cannot be examined in isolation. Cultural Fluency—Knowing that we live in a white supremacist culture and that our views are conditioned by power and privilege, we commit to our ongoing learning and understanding of each other’s cultural and ethnic identities. Authenticity—Truly being connected with our emotions, expressions, and experience. In the summer of 2017, there was an urgent call to action made from sangha members of color to Mountains and Rivers Order leadership to address lingering diversity and equity gaps in the Order. These problem areas—as outlined by the sangha members of color—were identified as lack of teacher diversity, dharma talk content, challenges while participating in intensive retreats and residences, mentorship, and interactions with white sangha members at both Zen Mountain Monastery and Fire Lotus Temple that left some sangha members of color with feelings of hurt and invisibility due to their social identities. This call to action was promptly and open-heartedly acknowledged by Shugen Roshi and other monastics. 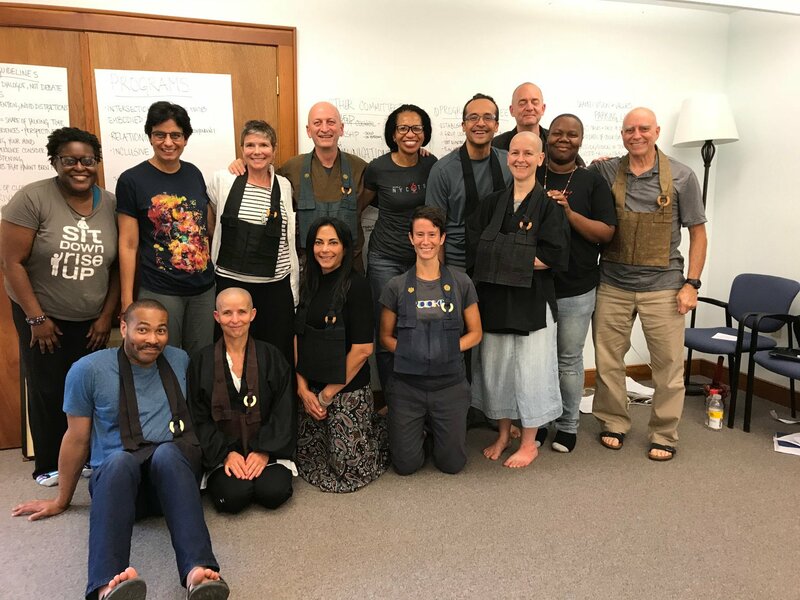 And in October of 2017, a group of monastics, and lay sangha members who identify as white and persons of color gathered at Zen Mountain Monastery for the first time together to begin the initial work (under the guidance of professional facilitators) to transform our sangha so that is more inclusive and welcoming of all—regardless of how we are positioned in the larger society based on our varied social identities. This Beyond Fear of Differences (BFOD) group—which became a wider extension of Beyond Fear of Differences work that had begun on a smaller scale a few years prior—has been meeting regularly since then and working to critically assess the Order’s practices and to build a framework in which the entire sangha can participate in fostering transformation and growth.